When our mother, Lulu, was a nursing home resident, our family made friends with many of the other residents, and often their families. 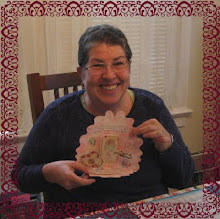 Carolyn and I planned special events for the ladies (and a few men!). Each December we gave a holiday tea, with sweets from Molly's Bakery, music, fun and silliness. 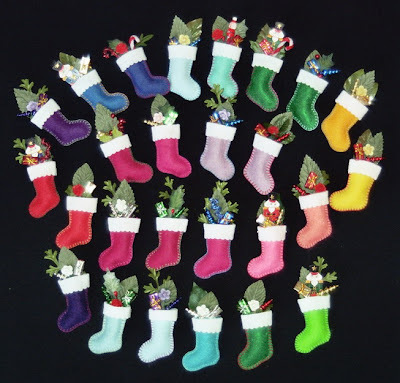 For one of the holiday teas I made many of these cute little felt stocking pins. The ladies loved them! I was touched when, at our tea the following year at Christmas, some of the ladies wore their stocking pins from the year before. The pattern for the stocking pins is below. Trace around the pattern onto doubled felt and cut out. Join the back and front with buttonhole stitch, in a contrasting color of two strands of embroidery floss. Cut a strip of white felt to wrap around the top. 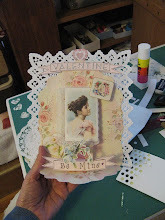 Scalloped or pinking shears make a pretty cut. 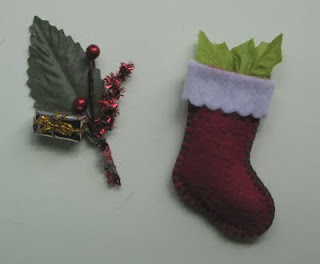 Glue the white felt strip to the stocking using Beacon Fabric-Tac, joining ends of the felt strip at the center back. Glue a 3-hole pin back horizontally on the back of the stocking, on the white strip. The miniatures that go into the stocking were found at Michaels, near the scrapbook section of the store. You will find a lot of these little holiday things in the months leading up to Christmas. Join the various miniatures, plus a leaf or two pulled from a fabric flower, using a small piece of fine guage florist wire. (I glued the florist wire to the back of the tiny wrapped presents). Put a small amount of polyester stuffing in the stocking, to puff it out a bit. 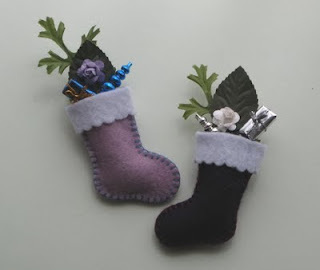 Put some Tacky glue on the pre-wired miniatures and insert in the stocking, behind the stuffing. Let dry, wear your cheerful pin during the holidays! Make 30, host a tea at a nursing home and brighten the holidays for the residents there! 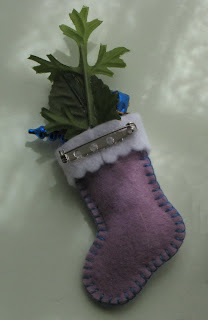 It might be fun to add a little embroidered flower to the toe of the stocking. I didn't do that because I was making a lot at one time. Here is the pattern for the stocking. You will probably have to enlarge or reduce it on your computer or printer. 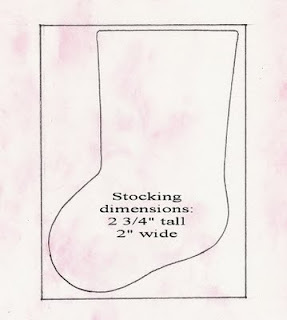 The dimensions of the stocking are 2 - 3/4" high x 2" wide. If it is helpful, the frame around the pattern is 2 - 7/8" high x 2 - 1/8" wide. These were fun to make, very colorful. Millésime et Mercerie - OUR NEW ETSY SHOP! Visit our new Etsy Shop! 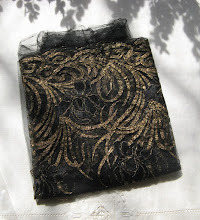 Click on the picture to visit Millésime et Mercerie and see this vintage gold embroi-dered yardage. Also vintage jewelry, sewing and needlwork supplies, dolls and doll kits, cabinet cards, tatting threads, and vintage bead and fur trims. Click on the picture to go to a list of all tutorials and patterns on our blog. 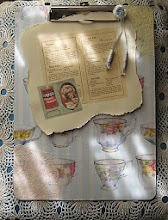 My decoupage clipboard design that Romantic Homes said they would like to publish, then two years later featured someone else's design. Click on the picture for four pages of illustrated directions. I've got a clever trick for trimming the edges nice and neat. 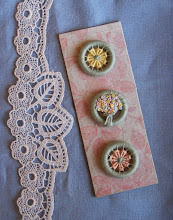 Click on the picture to link to my 4-page directions for making a Dorset button. The link will take you to my Google Docs. 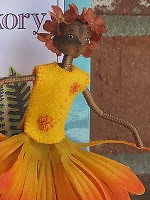 Click on the picture of Miss Hickory to link to a 4-part series on how to make this sweet doll. And read the book to your daughter, grand-daughter, mother, or friend. It is so charming! 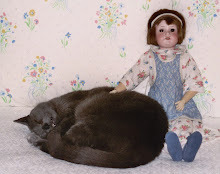 This link goes to a three page article I wrote for my doll club newsletter. This link will take you to my Flickr photos. 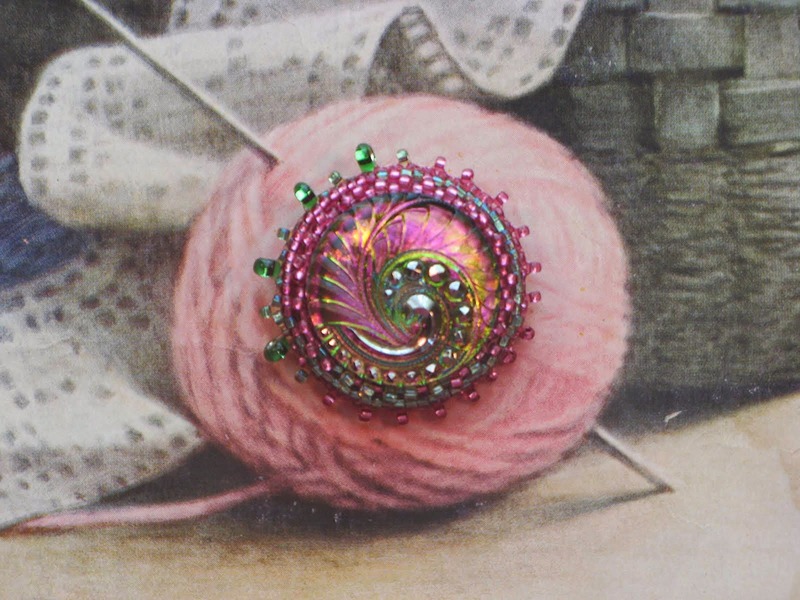 Click on the Set 'Beaded Button Instructions' for 3-page handout plus diagrams for lots of edging stitches! 1910 Bear Brand Blue Book Crocheted Beret. 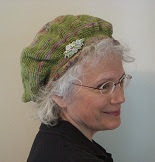 Click on the picture to link to my Google Doc with instructions for making two berets, one crocheted and one knit. Thank you all for your comments. 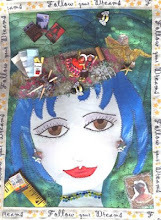 You are free to take any photos, tutorials, craft directions and patterns that we have created from this blog and post to your blog. Please include a link to EmmaMyrtle.blogspot.com. Thanks! 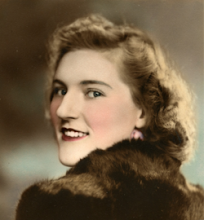 The name of our blog honors our mother, Lulu, and her mother, Emma. 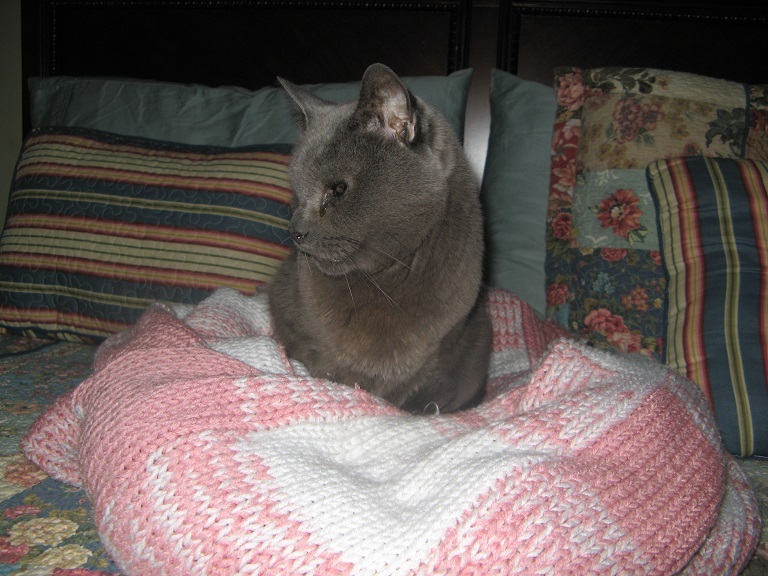 It is shared by Lulu's daughters, Carolyn and Thea, and Lulu's granddaughter, Kathryn. We hope that keeping an online journal will help us to focus on the simple gifts of daily living that inspire us: nature, art, music and movement, food, sharing. It's like getting a first, NEW box of 8 Crayola Crayons every day! 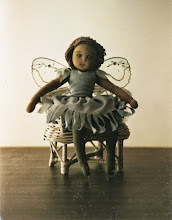 Salley Mavor - Illustrator of beautiful children's books, all done with a needle and thread! Banner photography by our brother (and Uncle), Lee Webb! Except for the second photo from the left, of our grandmother, Emma, taken about 40 years before Lee was born! Thanks for your wonderful photos, Lee.